Hands down, the most re-recorded song of the last decade from the vast catalog of Canadian poet, novelist, and singer-songwriter Leonard Cohen is Hallelujah; the newly-reposted MOKB Covers Project: Hallelujah counts over forty recent versions, and the list is by no means complete. I have no complaints about this — it’s a great song, which, like so many of Cohen’s best work, moves fluidly between grand mythos and intimate confession to give voice to strong yet otherwise unexpressable feeling. Problematically, however, the vast majority of covers of this song are not truly Leonard Cohen covers, but covers of Jeff Buckley’s particularly sparse, soaring version, the most familiar of which was recorded live in 1993 and released on Grace. To feature these versions of Hallelujah, then, is to feature not Cohen himself, but a particular process by which song ownership and song authorship can be divorced to the betterment of song, one seen more recently in the way Noel Gallagher of Oasis has begun to cover Ryan Adams’ setting of Wonderwall in live performance. And, while interesting, getting tangled in the way in which song ownership can truly shift is no way to truly acknowledge the immense impact that Cohen and his songs have had on the development of popular music. Luckily, as the Rock and Roll Hall of Fame will acknowledge this Monday, Leonard Cohen is no one-hit wonder. Though it has become essentially impossible to honor this gravel-voiced folksinger and songwriter via Hallelujah, there are many, many musicians of greatness who have been moved to interpret the various pages of his deceptively slow songbook. 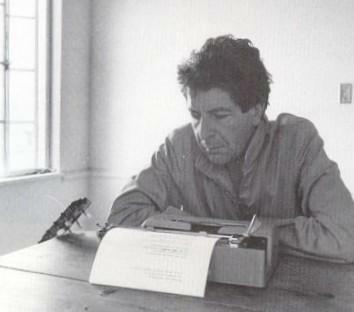 And while I have a particular fondness for a few particularly stunning Leonard Cohen covers — among them Teddy Thompson’s Tonight Will Be Fine, Serena Ryder’s Sisters of Mercy, and Regina Spektor’s Chelsea Hotel — today is not a day for breadth, but for focus. 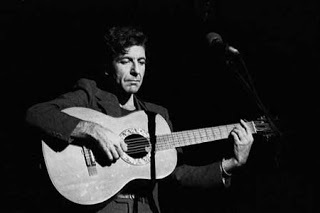 No, to truly consider the genius of Leonard Cohen as songsmith, we need look no further than a song which was first released way back in 1971, on Songs of Love and Hate: Leonard Cohen’s Famous Blue Raincoat. But whether Cohen intended it or not, I think the flaws here are ultimately what makes the song so effective. In a listener’s ears, the wandering narrative, the odd repetitions which seem not to resolve, and even the dubious, damaging choice to filter this story through the awkward form of the letter itself are attributed to the speaker, not the artist. The result is an especially realistic, poignant sort of unreliable narrator perfectly suited to the uneasy truce the singer claims to have made with his woman, the letter’s addressee, their shared pasts, and how they found themselves here. In the end, in spite of or because of its flaws, the effective pairing of deceptively simple melody and complex emotional story make Famous Blue Raincoat one of the best works of an incredible artist. The complex relationship between these elements is vivid because it is so tangled and indescribable; it’s hard to imagine a clearer portrayal of this particular triangle without sacrificing the emotional success of the song overall. As always here on Cover Lay Down, wherever possible, all album/artist links go to artist homepages and preferred distributors, and never to the megastores that care more for money than art. So click through or head off to your local indie distributor to purchase the best music around. Because paying for your music is good karma, and doing so direct from the source is the best way to support the next generation of hall of famers.